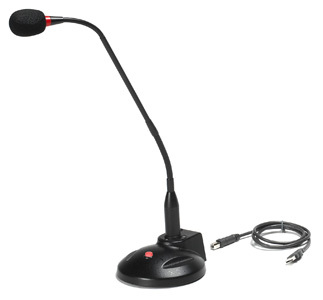 The GN-113 is a uni-directional gooseneck microphone with a flexible 18 inch neck so you can dictating clearly from any angle. Its sturdy base keeps it in place and prevents it from tipping over. The noise canceling ability will keep your dictation crisp and clean, even with low-level background noise.